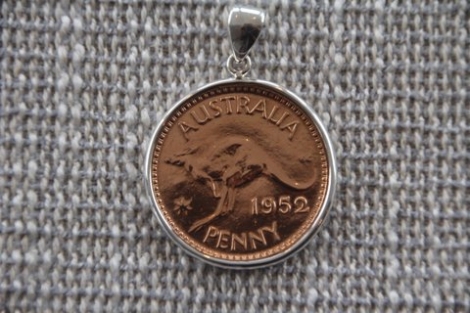 Penny encased in sterling silver. Polished. Most years available pre 1966. Email or call to enquire about a specific year if you like!